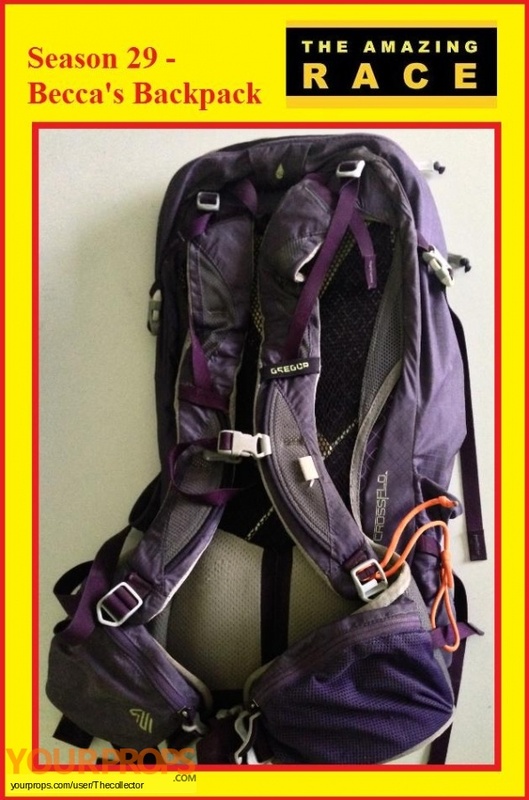 From the 29th season of The Amazing Race is Becca's backpack that she used throughout the 29th season and matches up to it's screen appearance, Becca and Floyd came in 5th place this season and will return in season 31. 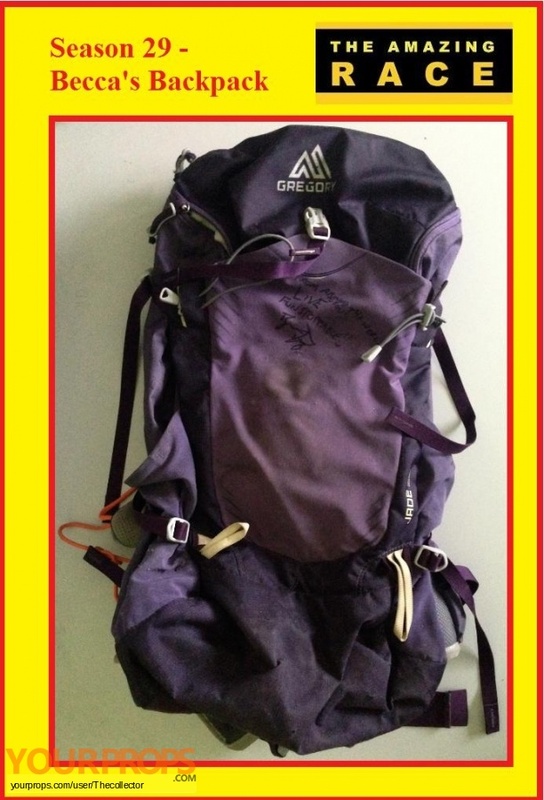 This item was signed by Becca and shows signs of wear and tear from running over the world. The bag did come with a few left over items from traveling.